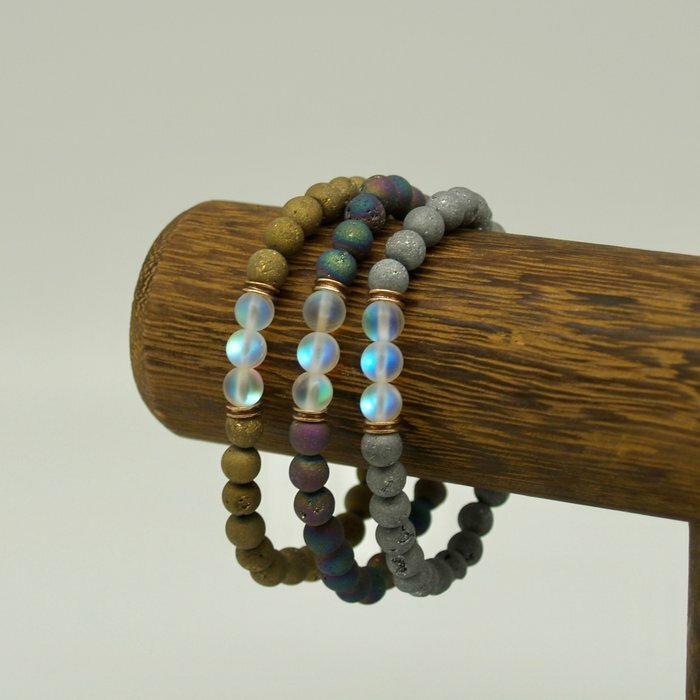 The most beautiful iridescent glass beads surrounded by titatinium druzy in silver, gold and rainbow. With just a touch of bronze. Three bracelets on elastic cord. Fits up to 8" wrist.